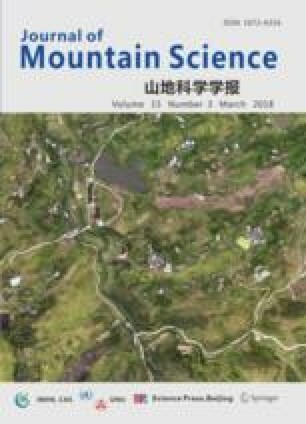 A new method, the dynamic reduction method (DRM) combined with the strain-softening method, was applied to evaluate the possible slip surface of a highly heterogeneous rock slope of the Dagangshan hydropower station in Southwest China. In DRM, only the strength of the failure elements is reduced and the softening reduction factor K is adopted to calculate the strength parameters. The simulation results calculated by DRM show that the further slip surface on the right slope of the Dagangshan hydropower station is limited in the middle part of the slope, while both SRM (strength reduction method) and LEM (limit equilibrium method) predict a failure surface which extends upper and longer. The observations and analysis from the three recorded sliding events indicate that the failure mode predicted by DRM is more likely the scenario. The results in this study illustrate that for highly heterogeneous slopes with geological discontinuities in different length scales, the proposed DRM can provide a reliable prediction of the location of the slip surface. This work was supported by the National Key R&D Program of China (2017YFC1501301), the National Natural Science Foundation of China (Grant Nos. 41521002, 41572283 and 41130745), and the Funding of Science and Technology Office of Sichuan Province (Grant Nos. 2015JQ0020 and 2017TD0018), the 1000 Young Talent Program of China and the research fund of the State Key Laboratory of Geohazard Prevention and Geoenvironment Protection (Grant No. SKLGP2017Z012).